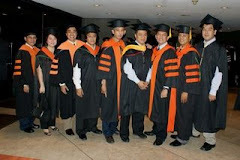 GCOE faculty members, Dr. Andres Oreta of the Dept. 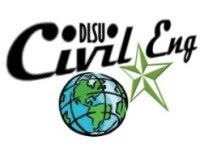 of Civil Engineering and Dept. of Mechanical Engineering professors, Dr. Manuel Belino and GCOE Vice-Dean, Engr. Efren De La Cruz served as resource speakers on the Seminar/Workshop on Outcomes-Based Education at the Capiz State University (CAPSU) at Roxas City last March 15-16, 2013.
on "Outcomes-Based Education for Engineering Educators (OBE3)." Dr. Belino talked about "Understanding OBE" and conducted a workshop on writing Program Educational Objectives (PEOs). Dr. Oreta lectured on two topics, "Course Learning Outcomes and Course Design" and "Assessment Strategies." Engr. De La Cruz lectured on "OBE Syllabus Writing and Teaching/Learning Activities." Workshop outputs on "Writing Course Learning Outcomes" and "Converting the Syllabus in OBE Format" were presented by the participants from CAPSU and Collegio de La Purisima Concepcion. from Engr. Orly Lopez (R) and Engr. Michael Baylon (L). 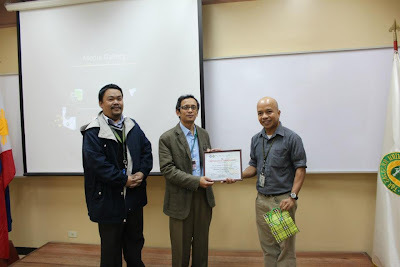 Last February 8, 2013, Dr. Lessandro Estelito O. Garciano, associate professor of Civil Engineering at De La Salle University - Manila, was invited to be the guest lecturer in the seminar on Structural Engineering specialization at FEU-East Asia College, N. Reyes St., Sampaloc, Manila. Dr. Lessandro's topic was the Safety and Vulnerability in Structural Engineering. The lecture was organized by the Association of Civil Engineering Students - JPICE FEU-EAC Chapter, in cooperation with the FEU-EAC Student Coordinating Council. 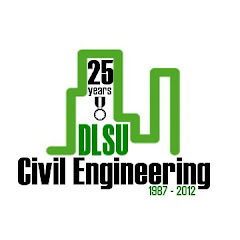 DLSU alumnus, Engr. Michael Baylon, a faculty of FEU-EAC was one of the key faculty organizer of the event.